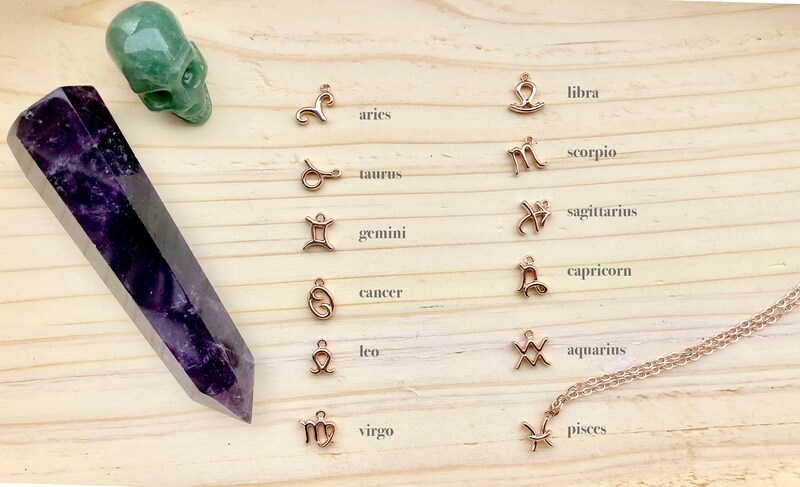 Beautiful tarnish resistant rose gold zodiac sign necklaces. Limited quantity available. Lead and nickel free copper and stainless steel. 14 inches long with 5 inch soldered extender chain.